Rock Hippo Productions has announced their biggest update yet for MicroVolts, the free-to-play cartoon-style third-person shooter, is coming very soon. The game has attracted a significant player base since its launch in 2011, and is about to reach the next level with the appropriate new title: MicroVolts Surge! The Rock Hippo team will be showing off new features for the update regularly at www.MicroVolts.com, so check back daily for more info. 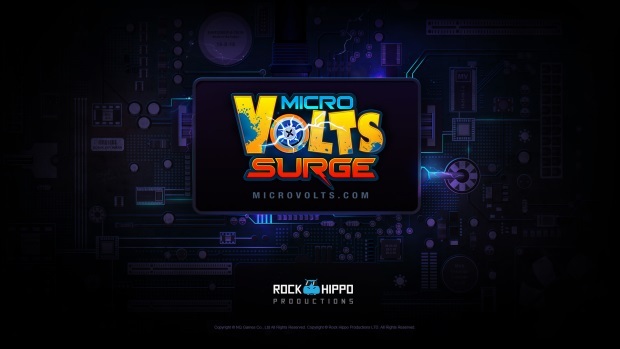 Today, Rock Hippo has revealed two major new features for MicroVolts Surge. First is an overhauled user interface which is more intuitive and better displays game information. Controls are now even more customizable, allowing competitive MicroVolters to perform at their best. Communication with other players is also now much more satisfying (more on this in a later announcement). Second, is an update to the weapon upgrade system which allows weapons to reach a new max level of 9. This is an energy intensive process, so MicroVolters will need to collect as many batteries as possible during their battles. These powerful upgrades also come with new visual effects to better show off their levels. This is just a small taste of what’s to come. There are many more new features yet to be announced, so stay tuned! [GM]Fructus has a blog here with all the details. The Secret World® has just gotten a major content and story update with Issue #11: Reaping the Whirlwind. Power Rangers: Legacy Wars announces the launch of a new content update, Version 1.2.